This premium quality patterned Italian porcelain tile. Made up from three colours black, white and grey. All used together to create an elegant decorative pattern. 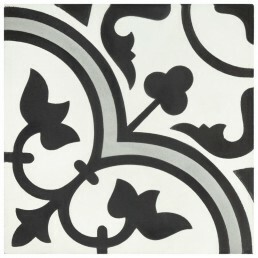 This patterned porcelain tile is just right. Not too plain nor too fussy, so it’ll catch your eye without dominating the room. 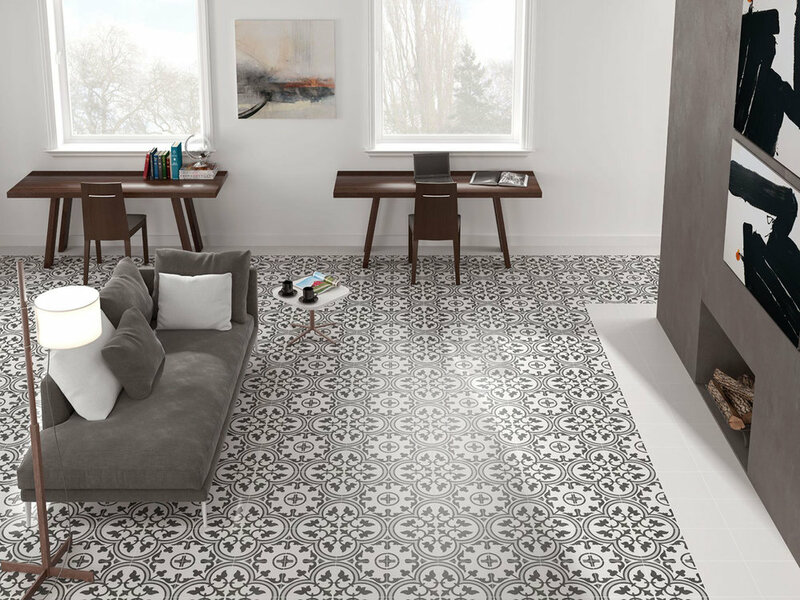 This hydraulic patterned porcelain tile has a matt finish making it suitable for use anywhere within the home. With a monochrome colour scheme, it will adapt well to most settings. Echoing the style of the Victorian era, these black and white patterned porcelain tiles have a gorgeous repeating floral motif that looks great pretty much anywhere. 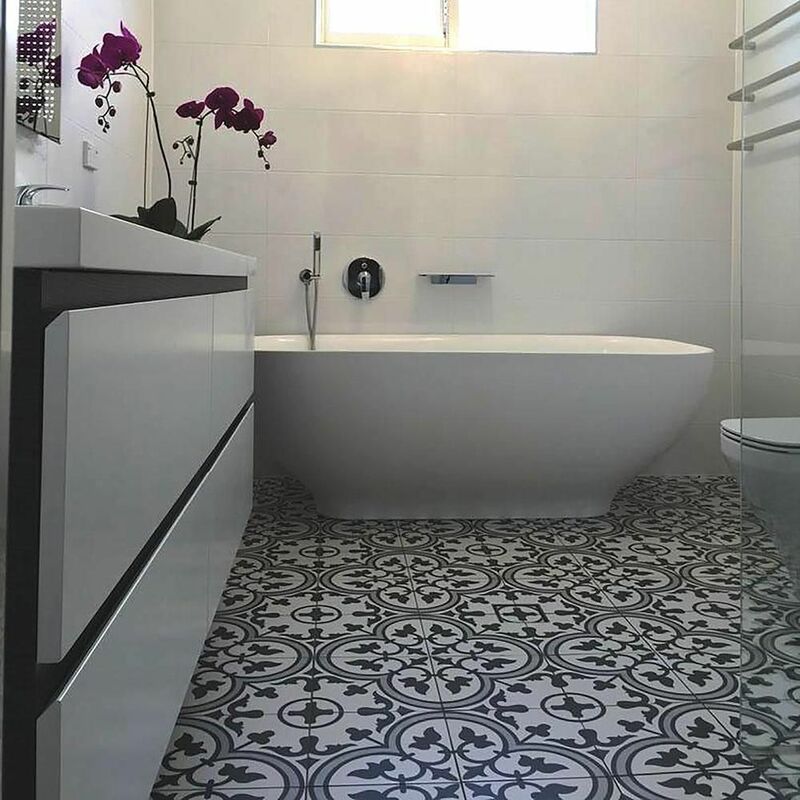 There are plenty of plain tiles which can be used on the walls if this tile was chosen to be used on the floor, we stock a 600×300 mm matt white wall tile, which looks superb placed with Origin tile. 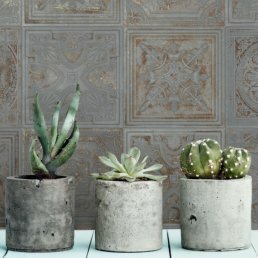 These decor pieces create lovely statement feature on walls or floors. 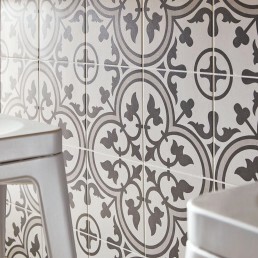 Origin, suitable for use with underfloor heating and fireplace surrounds. 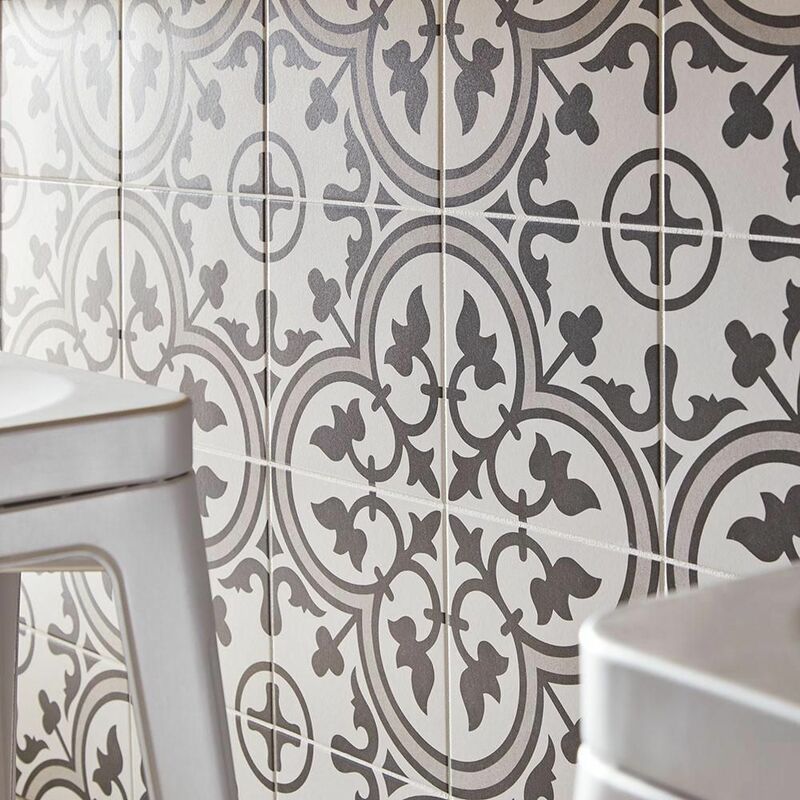 Such a beautiful tile that suits both traditional and modern interiors, available in one size 200x200 mm a perfect size for use in a small or narrow space such as a hallway or porch. A definite statement piece.